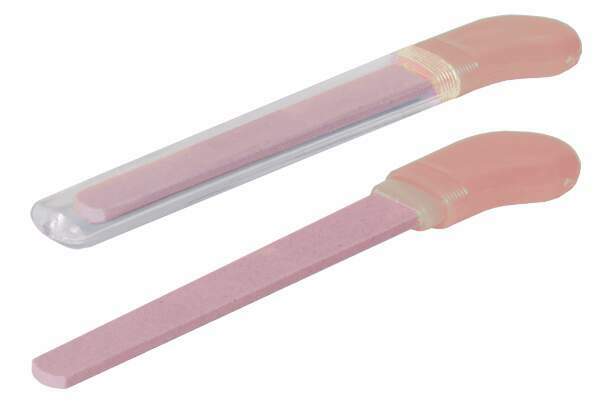 Stone nail file that does not tear or rip the nail. Can be used wet or dry. Strengthens weak nails by sealing in natural moisture and essential oils. Use tip of tool as a cuticle pusher. Made of thousands of micro jewel crystals that will not tear nail. Can be used in a back and forth motion unlike emery boards or metal files.